Tetanus is a serious illness caused by tetanus bacteria. The bacteria live in soil, saliva, dust and manure. The bacteria usually enter the body through a deep cut, like those you might get from cutting yourself with a knife or stepping on a nail. The infection causes painful tightening of the muscles, usually all over the body. It can lead to "locking" of the jaw, which makes it impossible to open your mouth or swallow. If this happens, you could die of suffocation. If you get tetanus, there is usually a long course of treatment. The tetanus vaccine can prevent tetanus but its protection does not last forever. Adults should get a tetanus shot, or booster, every 10 years. If you get a bad cut or burn, see your doctor -- you may need a booster. Serious and infected wounds require medical attention. You should also seek attention if the wound is deep, if you cannot close it yourself, if you cannot stop the bleeding or get the dirt out, or if it does not heal. A cut or laceration is an injury that results in a break or opening in the skin. It may be near the surface or deep, smooth or jagged. It may injure deep tissues, such as tendons, muscles, ligaments, nerves, blood vessels, or bone. A puncture is a wound made by a pointed object such as a nail, knife, or sharp tooth. If the wound is bleeding severely, call 911. Minor cuts and puncture wounds can be treated at home. Take the following steps. Wash your hands with soap or antibacterial cleanser to prevent infection. Wash the cut thoroughly with mild soap and water. Use direct pressure to stop the bleeding. Apply antibacterial ointment and a clean bandage that will not stick to the wound. Use a stream of water for at least 5 minutes to rinse the puncture wound, then wash with soap. Look (but do NOT probe) for objects inside the wound. If found, DO NOT remove -- go to the Emergency Department. If you cannot see anything inside the wound, but a piece of the object that caused the injury is missing, also seek medical attention. Do NOT breathe on an open wound. Do NOT try to clean a major wound, especially after the bleeding is under control. Do NOT remove a long or deeply embedded object. Seek medical attention. Do NOT probe or pick debris from a wound. Seek medical attention. Do NOT push exposed body parts back in. Cover them with clean material until medical help arrives. The bleeding is severe, spurting, or cannot be stopped (for example, after 10 minutes of pressure). There is impaired function or feeling from the cut. The person is seriously injured. The wound is large or deep, even if the bleeding is not severe. You think the wound might benefit from stitches (the cut is more than a quarter inch deep, on the face, or reaches bone). The person has been bitten by a human or animal. A cut or puncture is caused by a fishhook or rusty object. You step on a nail or other similar object. An object or debris is embedded -- DO NOT remove it yourself. The wound shows signs of infection (warmth and redness in the area, a painful or throbbing sensation, fever, swelling, or pus-like drainage). You have not had a tetanus shot within the last 10 years. 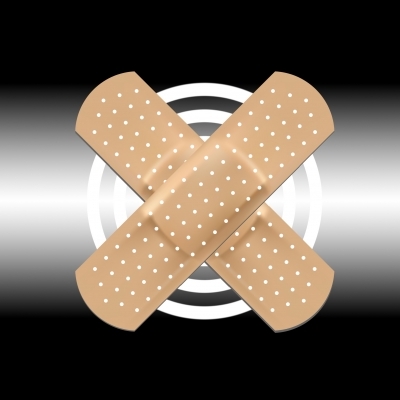 The following types of wounds are more likely to become infected: bites, punctures, crushing injuries, dirty wounds, wounds on the feet, and wounds that are not promptly treated. If you receive a serious wound, a wound care doctor may order laboratory tests, such as a blood test and skin cultures to check for bacteria. Announcement: We are primarily devoting our time on enhancing our Top-10 Sites thus making numerous well-aged domain names available which are no longer used by the developed sites, or else needed. These domains are related to subjects like health wellness and disease, investing and money matters, trading the financial markets and a few misc categories. A Special Offer valid today when you Buy a Domain you likely can get its web-page or website free upon request (if there is a matching site and you want it; excluding the top-ten sites). This opportunity is on any other website-name you purchase. Prices are the same if it has a website or there is no site because inherent value is in its domain name. However, valuation is magnified if there's significant development such as our 10 well developed websites, with several available for acquisition (but not all). Please contact-us if you have interest in these unique and golden investment opportunities.